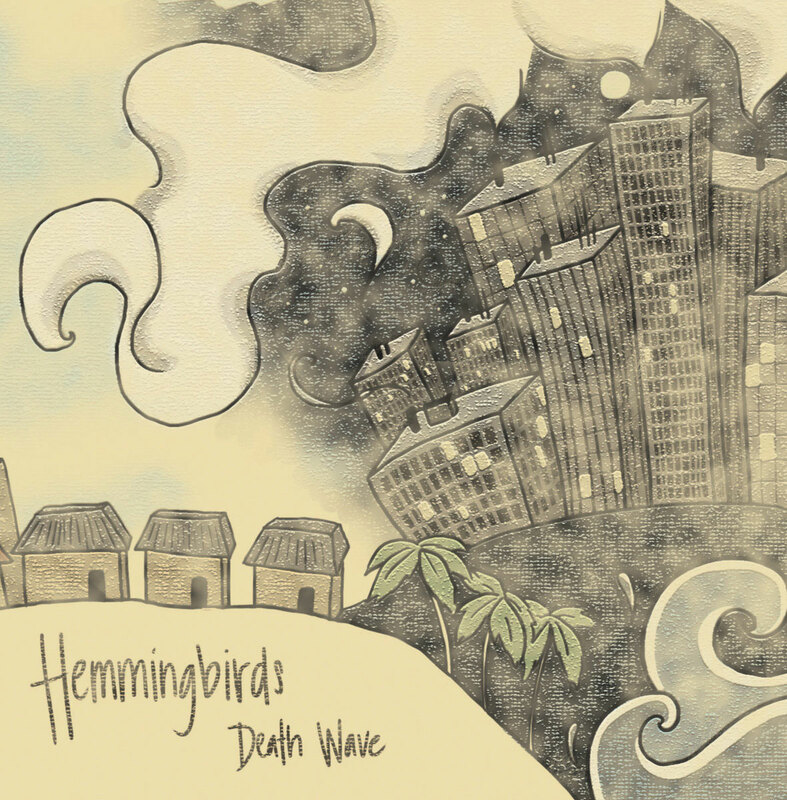 Death Wave is comprised of fully realized indie pop songs that have subtle influences of jazz influenced rock (math, progressive) that seamlessly meet with indie pop sounds akin to Decemberists and Arcade Fire. This album has really good production and never loses it’s focus, quite an achievement over the span of 10 songs. Hemmingbirds originally began as a solo project by Yoo Soo in the fall of 2009. Over the period of seven months, Yoo Soo performed, recorded, produced, mixed, and self-released Death Wave playing everything save for a few drum tracks. Yoo Soo should be proud of this album that places Death Wave firmly on the list of great Chicago indie albums. ‘The rhythms and the standards of modern living, they weld our feet, to a growth of scenery’, Yoo Soo explains in “In the Event of Failure” which starts off with just an acoustic guitar and voice. This is nice and helps to underscore the tale how we live. ‘To future selves that sulk in failure the pain is a temporary tie’. Another nice momentum build toward the end of the song. Yet another surprise on first listen was the psyched out Floyd like “Slippery Slope” with even bigger guitar. This really feels like a true updating of that song, which you don’t hear often. Reminiscent of Omar Rodriguez Lopes (Mars Volta). Death Wave utilizes eclectic styles of music which make for an indelible listen that you will want to experience again and again. Yoo Soo has created an album that is incredibly relevant to these music times. I recorded an interview with Yoo Soo and Tim in early March of 2011. They address giving their album away for free.